Today from 20:05, Napoli will host Dnipro in the first leg of Uefa Europa League semifinals. If we take a look at the odds, it is very clear that the italians have the first chance. Napoli are coming after a very impressive win against AC Milan, 3-0 last weekend after they scored three goals in six minutes. They are still fighting for a Top 3 position in Serie A to qualify in UCL, but they can do it easier by winning Europa League, this one being their main targer for this campaign. On the other hand, Dnipro are coming after a very good, losing only one game in the last 11 in all competitions. They are second in Ukraine, six points behind Dynamo Kiev and without any real chance to win the title. Konoplyanka and his teammates recorded a draw and no fewer than five wins in the last six trips, losing only one match in their 13 away games in 2015. Napoli (4-2-3-1): Andujar – Maggio, Albiol, Britos, Ghoulam – Lopez, Inler – Callejon, Hamsik, Mertens – Higuain. Dnipro (4-2-3-1): Boyko – Fedetskiy, Cheberyachko, Douglas, Egidio – Kankava, Rotan – Luchkevych, Bezus, Konoplyanka – Kalinic. Napoli have a good attack, but they won’t risk too much because they surely want to finish this game without conceding a goal. On the other hand, Dnipro have a very good defence, proof that they conceded only a goal in the last eight matches. The most exciting game of Tuesday will take place in Champions League, putting face to face the champions of Italy, Juventus Torino and the last year UCL winners, Real Madrid. Juve just won the 4th title in a row after the victory against Sampdoria, 1-0 three days ago in Serie A. Now they can focus 100% on Champions League, but against Real Madrid won’t be easy. The italians faced the galactics last season in group stage, getting only a point after two meetings. The hosts managed to win their last six home games in all competitions. Real Madrid scored no fewer than seven goals in the last two away games, but they also conceded four goals. The spaniards played six official matches against Juventus in Italy and they won only one of them. Ronaldo and his teammates are in an excellent for, with eight wins and a draw in the last nine matches. Gareth Bale is back, 100% for this duel. Juventus (4-4-2): Buffon – Evra, Bonucci, Chiellini, Lichsteiner – Vidal, Pirlo, Marchisio, Pereyra – Morata, C. Tevez. Real Madrid (4-3-3): Casillas – Marcelo, Varane, S. Ramos, Carvajal – Illaramendi, T. Kroos, J. Rodriguez – Cr. Ronaldo, Hernandez, G. Bale. We chose to bet on maximum two goals today in Torino, expecting a very tight game. We don’t see these two sides taking too many risks in the first leg. The odds are acceptable right now at Bet365 . One of the most exciting games of this Sunday will take place from 16:00, UK Time, at White Hart Lane, putting face to face Tottenham Hotspur and Manchester City. Spurs are coming after a draw against Southampton, 2-2 last weekend and they are still fighting for the 5th place, so they need a victory today, since Liverpool won yesterday, having three points ahead right now. Tottenham are on the 6th place, with 58 points and a 55-49 goal difference and their biggest problem remains the defence. Manchester City need three points today in London to be sure about the second place after this weekend. The Citizens have 67 points, same as Arsenal, but one match more played. Aguero and his teammates have the best attack in the league, with 70 goals scored, and one of the best defence, conceding only 36 goals. We have to tell you that City lost their last four trips in Premier League. Tottenham (4-2-3-1): Vorm – Dier, Fazio, Vertonghen, Rose – Mason, Bentaleb – Lamela, Eriksen, Chadli – Kane. Man City (4-2-3-1): Hart – Zabaleta, Demichelis, Mangala, Kolarov – Fernandinho, Fernando – Navas, Silva, Milner – Aguero. We expect a spectacular game between two offensive teams. They both scored a total of 125 goals so far and the last three meetings here offered us goals from both sides. Sampdoria and Juventus will offer us one of the most interesting games of this weekend in Italy Seria A. The two protagonists will be face to face today from 17:00, UK time, in the 34th fixture. Sampdoria are coming after a very bad run, without victory in the last five league matches, so they are no in the Top 3 race anymore and they could lose even the Europa League position. The hosts are on the 5th place at the moment, with 51 points in their account and a good goal difference of 41-36. Genoa are getting better and better and they could take Sampdoria’s place after this round. Juventus are not 100% champions, but a victory today will make them the champions for the 4th time in a row from a mathematical point of view. Juve managed to win 76 points so far out of 99, scoring no fewer than 63 goals and conceding only 19, having the best goal difference in the league by far. Juventus is the second team in Italy when it comes about away games, with 29 points won, while Roma have 30. Sampdoria (4-2-3-1): Viviano – Silvestri, Munoz, Romagnoli, Regini – Palombo, Obiang – Eto’o, Soriano, Muriel – Okaka. Juventus (4-3-1-2): Buffon – Lichtsteiner, Bonucci, Chiellini, Padoin – Vidal, Marchisio, Sturaro – Pereyra – Morata, Tevez. Considering that Sampdoria are in a very bad form, we expect them to have some real problems today against the leaders. We chose a double chance bet, with Juve winning at least one point. Napoli and Sampdoria will close the day in Serie A, facing each other from 19:45, UK Time, in the 32nd fixture. The odds are not so balanced, Napoli being in pole-position right now at bookmakers. Napoli are in a very good, with two wins in the past two fixtures and more than that, they are in the Europa League semifinals, fighting for the trophy to play in Champions League next season. When it comes about Serie A, Napoli are on the fourth position, with 53 points and a 53-37 goal difference. A victory today will take Napoli two points behind the podium. Sampdoria’s form decreased in the past few weeks, proof that they won only two points in the past three league matches, being in danger to lose the Europa League qualification. The guests have 50 points and a 38-31 goal difference, the defence being their strongest point right now. Sampdoria managed to win only five of their 16 trips in Europa League. 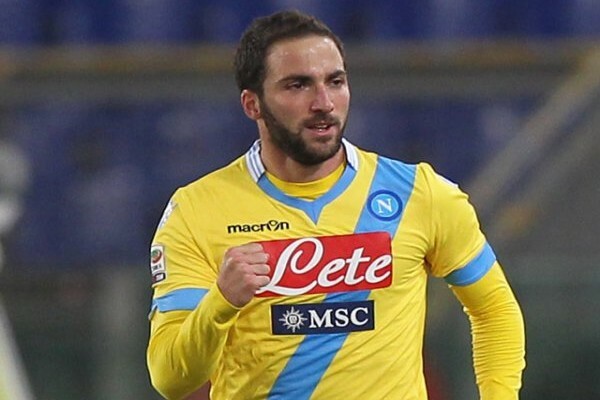 Napoli (4-2-3-1): Andujar – Henrique, Albiol, Britos, Strinic – Inler, Lopez – Callejon, Hamsik, Insigne – Higuain. Sampdoria (4-3-3): Viviano – Silvestri, Silvestre, Romagnoli, Mesbah – Obiang, Palombo, Soriano – Eto’o, Okaka, Eder. Napoli have the advantage of the own ground, they are in a better form and also they need a victory here to secure the 4th place in Serie A. More than that, Sampdoria are not in a very good form. One of the most interesting games of today will take place in Germany Bundesliga, putting face to face Mainz 05 and Schalke 04 in the 30th fixture of this season. The home side is coming after an important victory, 3-2 away against Freiburg and not they are safe, having 34 points, seven more thna the red line with five games to play. Mainz have a 40-41 goal difference, a good one, but the defence seems to remain a problem for them. The hosts will be without Nedelev, Hofmann and Clemens, all injured. On the other hand, Schalke 04 are in a bad form, with four draws and a defeat in the past five fixtures and they lost the battle for Top 4, so next year they will not play in Champions League. With 42 points and a 38-32 goal difference, the away side is 12 points behind Gladbach (4th position), having a bad record when it comes about away matches this season. Mainz (4-2-3-1): Karius – Brosinski, Bungert, Bell, Park – Geis, Baumgarlinger – Blasis, Malli, Koo – Okazaki. Schalke (4-2-3-1): Fahrmann – Howedes, Matip, Nastasic, Kolasinac – Neustadter, Hoger – Farfan, Meyer, Moting – Huntelaar. Mainz are in a better form right now, and more than that, they have the advantage of the own ground. Schalke have no motivation after they lost any real chance for Top 4. Bayern Munchen and FC Porto will be face to face today from 19:45 in the second leg of Uefa Champions League Quarter Finals. The portuguese side has the first chance after 3-1 at home, but Bayern will probably give the best today. The home side is coming after an away win, 2-0 against Hoffenheim and they need a 2-0 win today to qualify or any victory with at least three goals in front. Bayern Munchen will be without David Alaba, Robben, Benatia and Martinez, all injured, while Ribery and Schweinsteiger are not 100% fit and they will probably miss the duel. FC Porto also have some unavailable players. Danilo and Alex Sandro will miss the game, both players being suspended for the second leg. The guests are coming after four wins in a row, scoring a total of 12 goals. This is their third trip on Bayern’s stadium, and they ticked a draw and a defeat in the past, 1-1 in 1991 and 1-2 in 2000. Bayern (4-3-3): Neuer – Rafinha, Boateng, Dante, Bernat – Lahm, Alonso, Alcantara – Muller, Lewandovski, Gotze. Porto (4-3-3): Fabiano – Pereira, Indi, Maicon, Marcano – Oliver, Casemiro, Herrera – Quaresma, Martinez, Brahimi. We consider that Bayern Munchen will give their best today to qualify in the next round, so we chose to bet on a clear victory for them, with at least two goals in front. If they will win by a margin of only one goal, our money will be refunded.